The District Attorney’s Fallen Hero Program was established through a partnership between District Attorney Risa Vetri Ferman and attorney James Binns. In 2001, James Binns started the Fallen Hero Plaque Program in Philadelphia honoring men and women in law enforcement who were killed or died in the line of duty. District Attorney Ferman recognized the importance of such a prominent program and collaborated with Binns in order to bring the program to Montgomery County. District Attorney Ferman sponsors a Fallen Hero Plaque for each officer and holds a dedication ceremony in his or her local jurisdiction with assistance from the Officer’s home department and the Fraternal Order of Police. Each ceremony is attended by local police departments, local officials, county commissioners, family members and friends. Law enforcement officials throughout Pennsylvania routinely attend each ceremony to honor their fallen comrades. District Attorney Ferman has dedicated twenty-seven (27) Fallen Hero Plaques to date, honoring local officers who made the ultimate sacrifice and gave their lives while protecting others have been honored in Montgomery County. Upper Dublin Twp. Police Dept. Lower Gwynedd Twp. Police Dept. 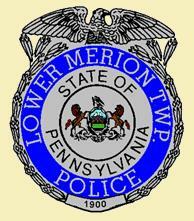 Lower Merion Twp. Police Dept. West Norriton Twp. Police Dept. Upper Merion Twp. Police Dept.